A young Conan is arrested and falsely accused of a king?s murder, and the Cimmerian is tortured, stabbed, dragged through the streets, and thrown into a river. He is found by his closest allies, but they discover they are too late. Conan is dead! 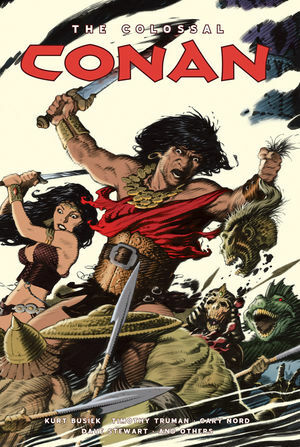 Collects Marvel?s Conan the Barbarian #233?#240. * All stories collected for the first time!